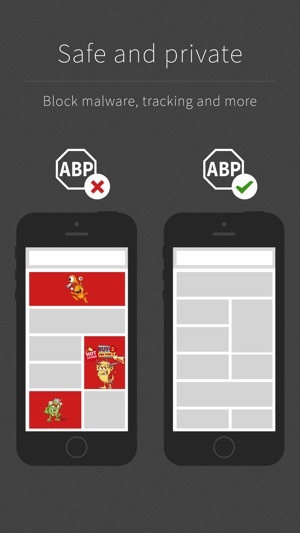 No more annoying ads on Safari with Adblock Plus for iPhone and iPad. More than 400 million downloads, market leader since 2006. 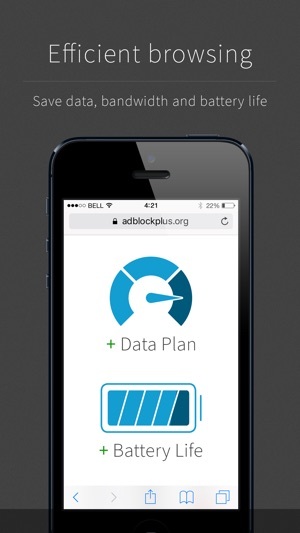 Browse safer and faster, and save your data with the #1 ad blocker in the world! 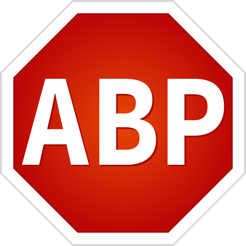 - Ad blocking prevents nasty stuff like malware and tracking that can hide behind ads. 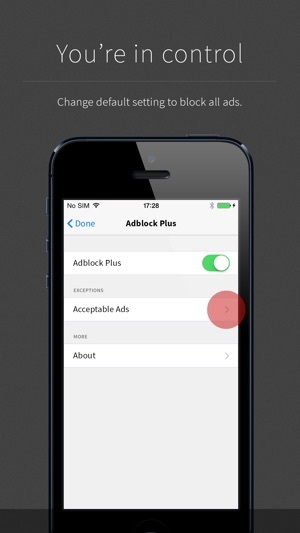 - Adblock Plus for iOS is a content blocker for iOS 9, and it supports the same devices as iOS 9, including iPhone 4s and above, iPad 2 and above, or iPad mini and above. - Older (non 64-bit) devices such as the iPhone 4 or iPad are not compatible. - This is a limitation set by Apple, not Adblock Plus. 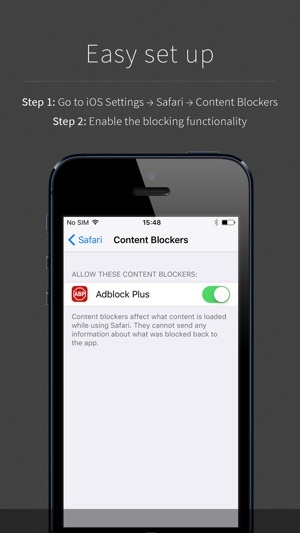 Adblock Plus for iOS was created by the team at Adblock Plus, the world’s most popular ad blocker. 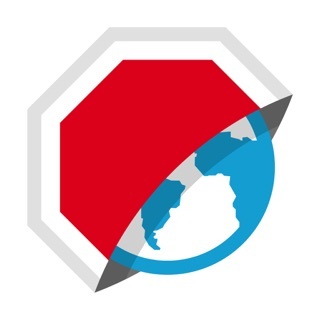 Check out Adblock Plus for desktop! If you want something that works like ad block plus does on windows, then look for "Adguard". It is definitely the best iOS ad blocker I have used. I was using adblock plus because I really like it on windows. But it is stripped down in ios (no ability to block annoying elements or choose multiple filters) and has functions that don't work, like the whitelist. The app does what it was advertised to do, but I have the acceptable ads switched off, and yet I go to the site I use very often and I can't figure out a way to block that ad. I don't want to see it. I would honestly rather see be huge empty block of space there. I gave it 4 stars because we should have an option that allows us to tap and hold to give us the option to block an ad. Not sure if it's out of the range for programmers on iOS now, but it would be better than seeing this really annoying ad, especially since I'm using an ad blocker. Makes me think it doesn't work as well as I hoped it would. I clicked on the thing below it saying additional popup blockers and i turned on the button there that says adblock plus. I still see the popups that say "you need to be a member to look at this site"
it still lets everything through. . .
blocked me, i'll try to look and it says "we see you have an adblocker installed, you must turn it off if you want to enter this site"
so, not only does it not block the ads, it also triggers websites to block my access because they detect it and block me back. but that one does nothing as well. I have tried both, and neither of them block the ads.